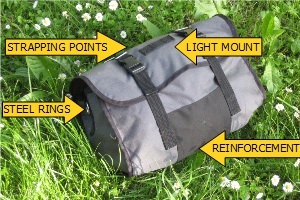 Medium, ultralight Transverse Saddlebag with 12 liters capacity. 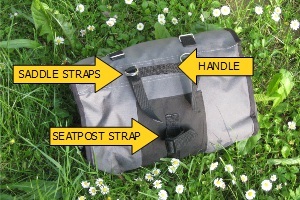 Additional things like sleeping mat or tent poles can be attached using strapping points. 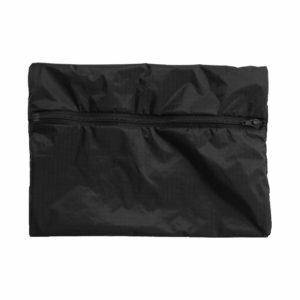 Bag sewn of lightweight Cordura 500D PU Coated and waterproof Nylon Rip-Stop. 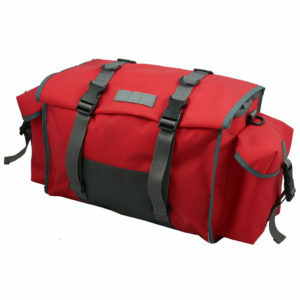 Bag is intended to be used without any additional support. Weight only 300 g (10.5 oz). 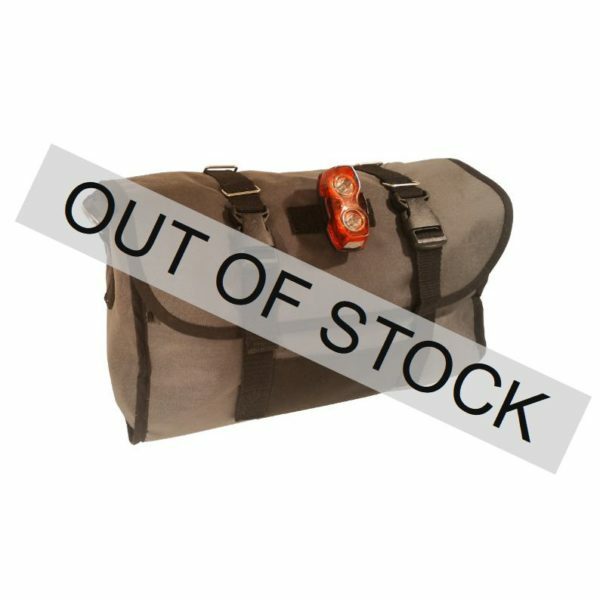 This Bag was designed as a smaller and lighter version of the Large saddlebag for to provide reliability and convenience during even longest touring and extreme bikepacking or commuting. 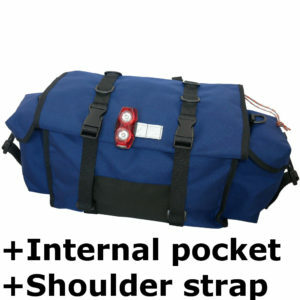 However, I added it has also features like a handle, shoulder strap rings and an internal pocket (sold separately) which make this bag also convenient in commuting. Transverse shape makes it more stable and bigger than classical saddlebags. Also you do not have to care about packing order anymore. Plastic buckles provide instant access to your luggage. 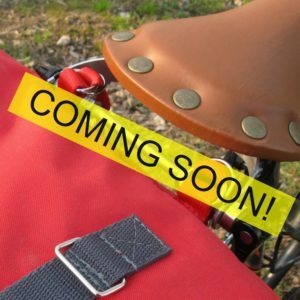 This Bag can be attached to classical saddle strap loops and seatpost. Bicycle light is not included.